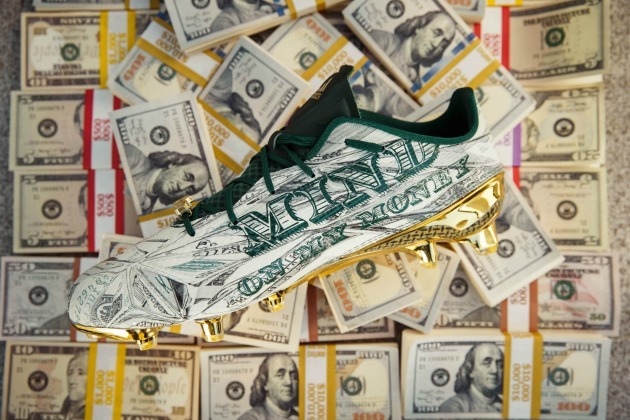 Adidas and Snoop Dogg have teamed up for an eye-catching, cash-covered new football cleat. 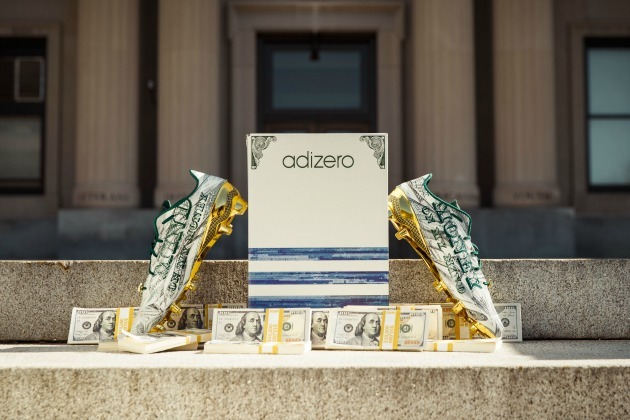 Adidas is unveiling a new eye-catching design for its adizero 5-star 5.0 football cleats, inspired by the company’s director of football development, Snoop Dogg. 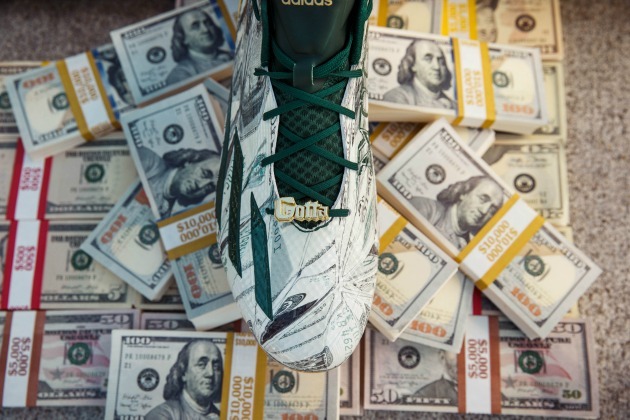 In addition to the money print, the cleats feature a $10,000 band across the foot, and “Gotta Hustle” lace jewelry. The shoe has plenty of high-tech specs to go along with its eye-catching design, using the sportswear company’s “Sprintskin” and “Ironskin” technologies to create the lightest available cleat at 7.9 ounces. The shoe is available now on Adidas.com for anyone looking to turn some heads, and possibly draw some fines, while out on the gridiron.